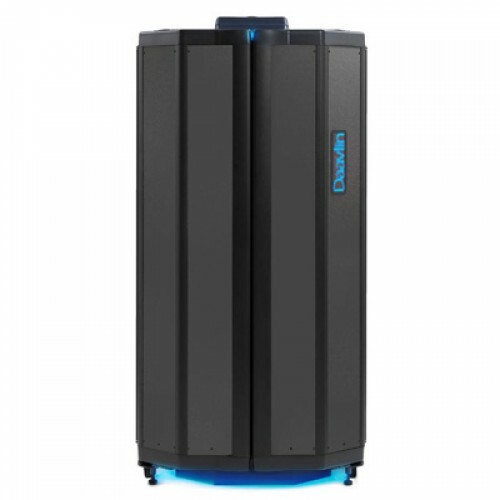 NeoLux, Daavlin’s latest innovation, combines many unique features that together set it apart from the competition, among them, SmartTouch™ control, Crystal Cool™ temperature management, Crystal Clear™ acrylic interior and more. 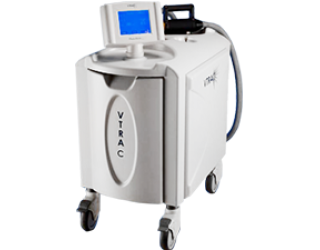 Backed by a comprehensive warranty, NeoLux is safer, more efficient and more user intuitive than any phototherapy unit currently available. NeoLux's two-door design is space efficient but the interior is large enough to comfortably accommodate your largest patients. Remove the patient platform and the unit can easily accommodate a wheelchair. The NeoLux design uses as few as 40 lamps. Fewer lamps mean lower maintenance and electrical costs. The newly developed UV reflecting system enhances light output by partially surrounding each lamp to maximise reflectivity, resulting in a more efficient device. 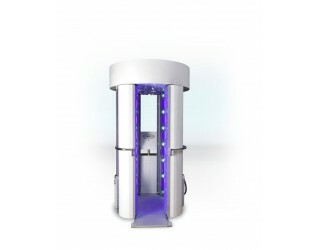 The NeoLux full body phototherapy cabinet features Daavlin’s new Crystal Clear™ acrylic interior, which protects from accidental lamp contact by the patient and provides unobstructed light delivery. 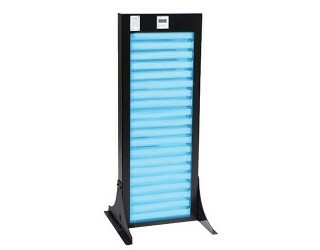 In addition to being easy to clean, the sealed acrylic panels prevent dust build-up on the lamps. 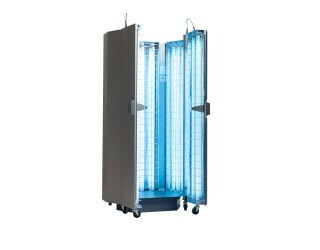 The Crystal Cool™ temperature management system provides an optimum environment for the patient and extends lamp life. 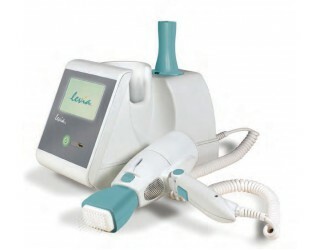 Two cooling fans with a patient-controlled on/off switch are available for patients who want to feel airflow during their treatment. The cabinet is spacious and open at the top while using less office space than competitor models. Double doors open wide enough for any patient and the bottom platform can be removed to accommodate a wheelchair. If there is a need to pause the treatment midway, your patient is able to do so at a touch of a button or by simply opening the door. NeoLux also gives you design control. You can select from numerous custom colour and design options to seamlessly blend into your office. The impression that your office or clinic makes on a patient is important. How the various design elements of your practice come together to make the patient feel at ease and cared for. Daavlin understood this. 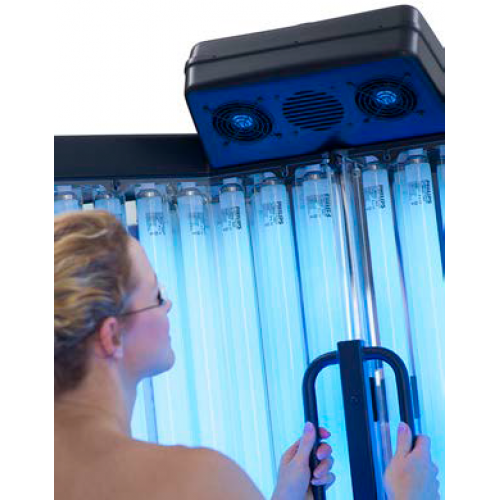 With Daavlin’s NeoLux phototherapy system, you have a hand in how your unit will look. It’s customizable design options are elegantly beautiful and can be selected to fully complement the decor at your office or clinic. The choice is yours. Built-in protocols for treatment parameters, error detection, system authorisation and more. 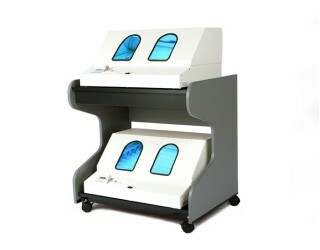 Monitoring systems that prevent errors in dosing during your patient's phototherapy. A soothing and reassuring voice announcement, delivered in 13 languages of either male or female, in the patient's choice. 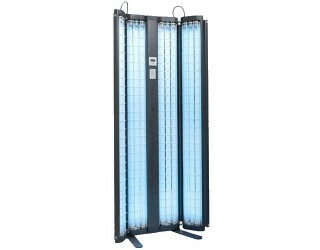 A Common Myth: It’s all the same lamps, so the only difference between different manufacturer’s clinical phototherapy devices is the cosmetic appearance. Reality: There are significant differences between machines equipped with integrating dosimetry and those without it. If your goal is accurate dose control for optimum treatment outcome, Daavlin integrating dosimetry offers significant advantages over timer controllers. 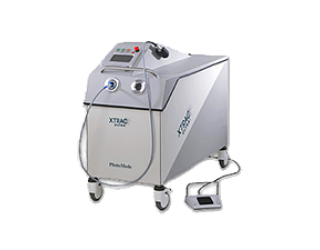 Integrating dosimetry systems like the Daavlin Flex and the SmartTouch™ dosimetry controllers measure the actual energy output of the phototherapy device in real time and adjust the treatment length to give exactly the programmed dose. 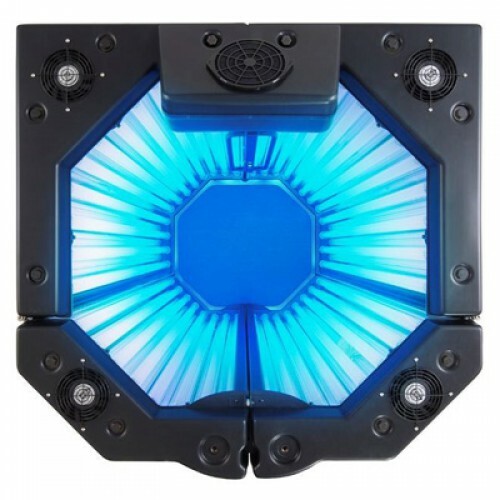 Integrating dosimetry has been the preferred controller on large cabinet type phototherapy devices for many years due to the elimination of dose uncertainty caused by environmental factors and lamp conditions. 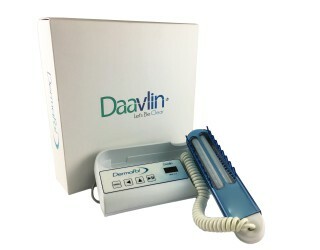 Daavlin offers integrating dosimetry systems on virtually every type of phototherapy device manufactured including hand/foot units and home phototherapy devices. 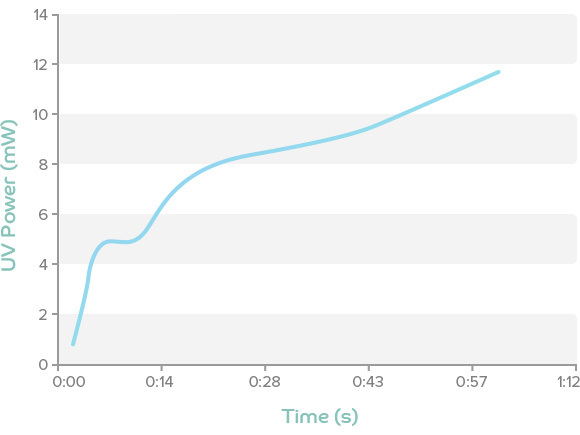 In this chart, the actual measured output of a phototherapy device with a calibrated output of 22mW at 5 minutes of operation is shown. For the first minute the lamps are emitting approximately half of the calibrated output and the power of the lamps is changing rapidly. In this example, an initial 15-second treatment using a timer controller would deliver 60milliJoules, but a subsequent treatment of the same duration would deliver about 120milliJoules. With a dosimetry controller, exactly the same dosage would have been given for both treatments. If the temperature in the room changes, even by a few degrees, this warm-up time will be prolonged or shortened significantly. 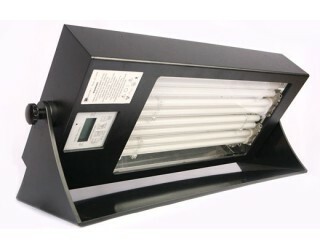 And, there are other environmental factors besides temperature that can significantly influence the output of the lamps. Besides the more obvious disadvantages of overdosing, there are significant disadvantages to underdosing as well. 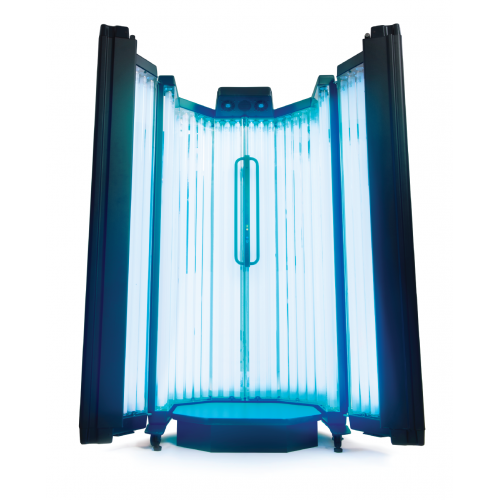 By giving repeated, small, ineffective doses of UV radiation, the skin will adapt causing the erythemal threshold to increase and the cumulative dose required to clear to be needlessly increased with a consequent risk of greater long-term side effects. It is particularly worth noting that current research shows that pigmentation causes a surprisingly small amount of the skin’s adaptation response to phototherapy, so even patients that do not visibly tan are undergoing adaptation responses.